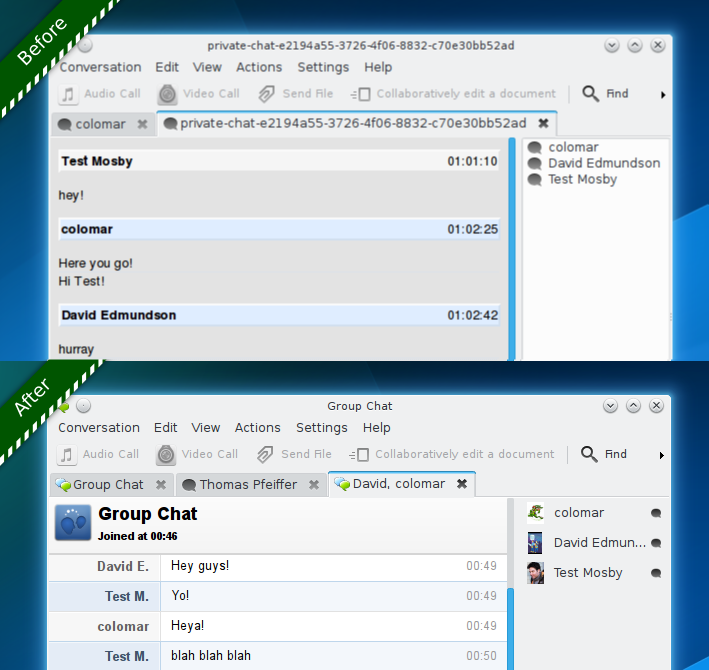 Today we released the 0.9 series of KDE Telepathy, a multiprotocol instant messaging client for Plasma. Amongst the many bugfixes the following features are worth highlighting. This summer Marcin Ziemski volunteered to step up to the task and implemented full support for OTR3, including shared secret authentication and key management. All aspects of group chats recieved a massive overhaul, there is a new join chat dialog, one can stay logged into a room when you close the window and we’ve redesigned the main chat window to be easier when talking to multiple people. 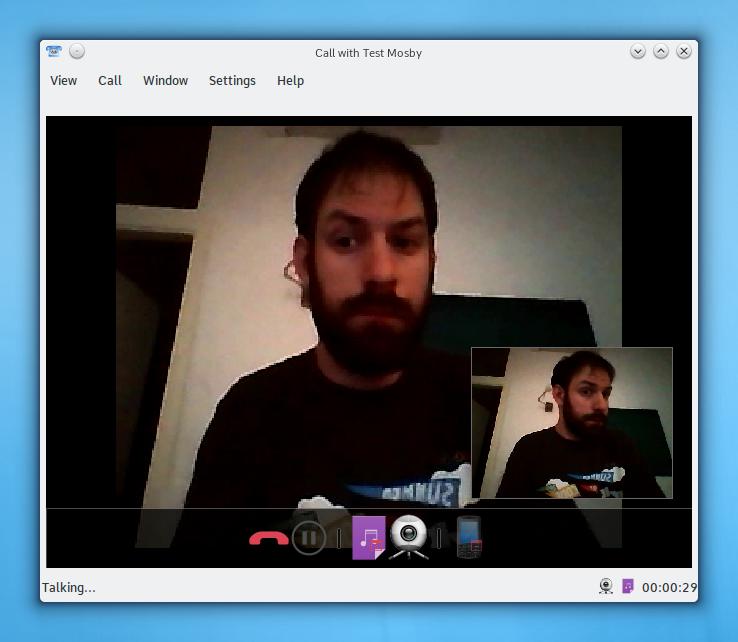 Video calls have had both a technical and UI overhaul. Diane Trout ported a lot of QtGstreamer and the CallUI to GStreamer 1.0. This port allowing us to future proof for the new technologies and have more chance of working calls. In addition Ekaitz Zárraga has rehauled the UI bringing it into the 21st century which can be seen in the screenshot. We encourage you to try it out. Depending on your and your partner’s setup, you might now have a good video chat experience. For best results use a real jabber server (Not Facebook or Google!) the same client and be sure to have all GStreamer codecs installed. Naturally the release brings a slew of bug fixes and improvements not listed here. Specificially the contact list has undergone extensive profiling and optimising since 0.8. You may notice some of the features were highlighted in the report from our previous sprint report. If you like the new features be sure to contribute to our winter fundraiser so we can keep doing sprints in future. Previous Previous post: Is Plasma 5 Ready For “Normal Users”?